It's spring! What better way to welcome the season of all things in bloom than with flowers! 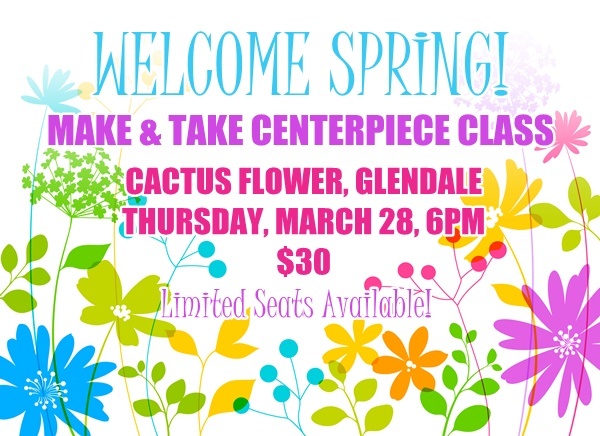 Just in time for Easter and Passover, we'll be hosting a "make & take" spring centerpiece class on March 28 at 6PM at our Glendale store. Leonard from our central Phoenix store will guide you as you make a lovely spring arrangement for your spring celebrations.